Scottsdale businesses of all types need IT network support and CCTV installation services. The team at San Tan Communications, LLC is made up of experienced computer network cabling contractors and commercial video surveillance system installers that can assist any commercial facility experiencing computer and/or network system issues. We also offer services for businesses that want to increase the overall safety and security of their property with one of our state-of-the-art CCTV surveillance systems. We work diligently to ensure 100 percent customer satisfaction and can work with budgets of any size. The importance of a company providing reliable computer network support services around the clock should never be overlooked. A business suffering from a long-lasting network and/or server outage will notice significant negative side-effects to day-to-day productivity, as well as if a department is encountering repeated computer and/or software problems. In fact, in today's technology-driven age, most companies worldwide struggle to function if they are required to work offline for long periods of time. CCTV surveillance cameras and recorders decrease the potential for theft and trespassing, as well as track suspicious activity and safeguard both employees and customers. When it comes to high-tech video surveillance systems, we are proficient in the installation of many different types of cameras for indoor and outdoor areas, such as 360 degree cameras, mega-pixel cameras, varifocal cameras, hidden/disguised cameras, and weatherproof and tamper-resistant cameras. Our knowledgeable team can also lend a hand if your business is in the market for a wireless security system or DVR system. San Tan Communications, LLC has been providing Scottsdale businesses with effective IT network support and CCTV installation solutions for many years, and we would love to talk with you today about your computer network support or building security needs! If you would like a FREE quote or more information, please call 480-655-6119 or contact us online. Importance of documenting your network. How to give patch cords the attention they deserve. 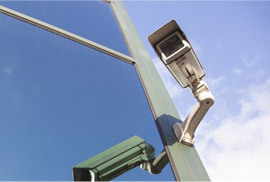 San Tan Communications is your leader in CCTV solutions for all your commercial surveillance needs in Phoenix, AZ. We offer a wide range of cameras and can accommodate any budget. We specialize in the design and installation of fiber optic cabling systems for Wi-Fi, paging, sound masking, access control, CCTV, phone systems, security, and fire alarms for Phoenix businesses. 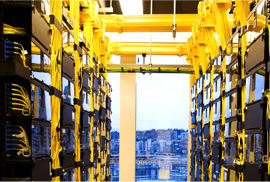 We provide network wiring and IT support for your Phoenix-based business. Our unmatched expertise and quality service guarantees fewer problems and faster recovery for data/sales protection. 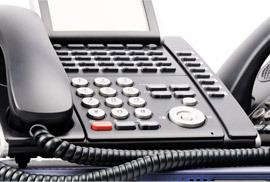 Our Voice over Internet Protocol (VoIP) telephone systems are designed from the ground up in Phoenix. The VoIP network can be personalized to each office environment with data cabling and other capabilities.